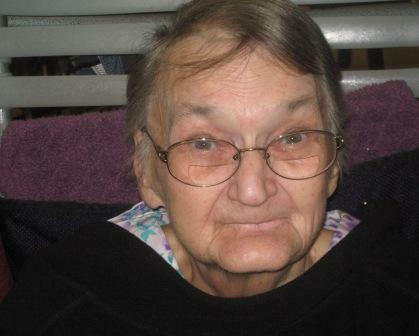 Jean Gross of Clearwater, BC, passed away at Dr. Helmcken Memorial Hospital, Clearwater, on November 19, 2015 at 76 years of age. Born Frances Jean Lee in Chatham Ontario on December 22, 1937, Jean leaves her husband Gordon; sons Randy (Sherron), Raymond (Mary) and Carl; daughters Susan (Richard) and Carrie (Rod); daughter-in-law Diane; 13 grandchildren, 13 great grandchildren and many foster children. Jean was predeceased by her son Ralph, daughter Karol and son Michael. Jean spent her career in early childhood development and she cared passionately for this field. As a retiree, Jean took a great interest in seniors’ issues in Clearwater and the North Thompson valley, and helped with a number of seniors’ organizations and initiatives. A Celebration of Life for Jean Gross will be held at a later date. Donations would be appreciated to the Canadian Cancer Society, 214 – 141 Victoria Street, Kamloops, BC, V2C 1Z5. Condolences may be sent to the family online at www.NTFuneral.com Arrangements entrusted to North Thompson Funeral & Drake Cremation Services, Clearwater, BC, 250-674-3030. Jean was a true champion of professional child care and Early Childhood Educators. When we opened our 1st licensed child care spaces (8) she came out of retirement to help us as we had very few qualified individuals at that time. As a result of Jean’s efforts we now have 85 licensed child care spaces in the North Thompson and without her energy and commitment this could not have been accomplished. Thank you so much Jean and we will miss you. On behalf of Yellowhead Community Services and particularly our Daycare staff we send our heartfelt condolences to your family. The ladies of Star Lake Women’s Institute wish to offer their condolences to the family. Jean worked for years here at The Cridge Centre in Victoria and was the most loving and amazing Early Childhood Educator. I was so proud of her work, her tender heart and her beautiful love for the children and all those she worked with. Jean’s Jelly Bean classroom was even the most precious place where my family entrusted the care and nurture of my niece. To all of the family, our thanks for sharing her with us, and our heartfelt condolences on the loss of someone so dear and special. Shelley and The Cridge Family. Brad and I send our sincere condolences to you and family. Jean was my good friend and co-worker and the Cridge Centre. She was loved by both staff and children. Jean always had a positive attitude and lifted me up many times with her long hand written letters. We will miss her dearly. Rest in God’s Peace Jean. Brad and I send our sincere condolences to you and family. Jean was my good friend and co-worker at the Cridge Centre. She was loved by both staff and children. Jean always had a positive attitude and lifted me up many times with her long hand written letters. We will miss her dearly.